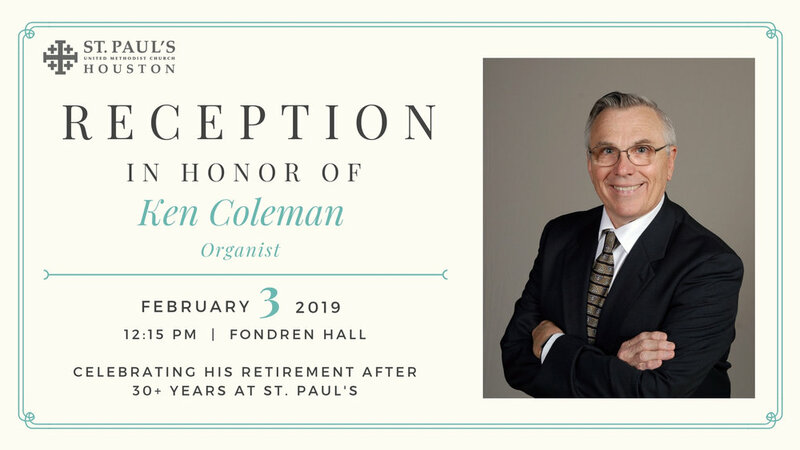 Ken Coleman, longtime organist at St. Paul’s, is retiring. Join us for a reception in his honor on Sunday, February 3, at 12:15 pm, in Fondren Hall. “Wow!” also is the response to his many contributions to St. Paul’s, especially the music department. “In addition to playing the organ on Sundays and for many special services, performances, weddings, funerals, and on choir tours, Kenny has worked tirelessly in front of and behind the scenes,” noted Director of Music Christopher Betts.